East Sussex County Council’s adult social care department is recruiting a mental health head of service and an adult safeguarding head of service. If you haven’t already heard of accountable care then you soon will. The government sees the approach as the next step in the integration of health and social care and councils across England will be inching their way towards it in the coming years. But one council is already forging ahead; delivering the health and social care of tomorrow today. That council is East Sussex. 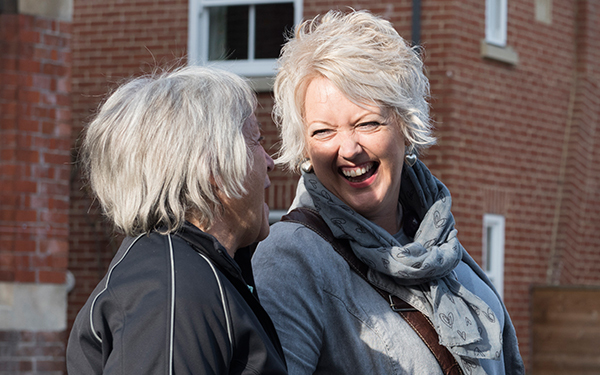 Its East Sussex Better Together partnership is on track to unite adult social care and healthcare by 2020 so that people get joined-up care that helps them retain their independence and the future of care services for the next generation is secured. With East Sussex County Council currently seeking two heads of service who will play defining roles in this transformation, we asked Mark Stainton, the assistant director of operations for its adult social care and health department, to tell us more. Hello Mark, good to speak to you. Could you tell us more about what East Sussex means by accountable care? Sure. Accountable care is about delivering NHS and social care based on results for service users. It’s about the integration of health and social care but it goes a step further than most of the country is. What we’re doing in the east and centre of the county with East Sussex Better Together – places like Hastings and Eastbourne – must be getting on for the largest integration of health and social care in the country. The council, the CCGs and the NHS trusts are operating an accountable care model in shadow form, which means we are now taking collective strategic decisions. What we are working towards is forming a single health and social care organisation by 2020 that will both commission and provide services. Why take integration to this level? Why not just settle for closer collaboration between social care and health? Several reasons. The demographic and financial pressures within East Sussex are, I like to think, considerably greater than elsewhere. Already 25% of people within East Sussex are over 65 and, like everywhere else, that is expected to grow. So there is a huge demographic and financial driver to do something different. Equally we want to provide better outcomes for people and better quality services and we know we can do that if we work together. It helps with the preventative aspects and means we can plan and deliver our services on a locality basis as opposed to a one-size-fits-all approach. So it’s all about responding better to the growing needs of the population and ensuring high quality and affordable care for future generations. East Sussex is currently seeking a head of service for adult safeguarding and a head of service for mental health. How important will these roles be in these changes? These roles are absolutely important. The adult safeguarding head of service has the potential to take the lead on safeguarding for all elements of health and social care. That role is pivotal and – alongside the medical director, the director of nursing and the principal social worker – I see that head of service being the professional lead who ensures safeguarding practice in health and social care is up to the highest standard. And the mental health head of service? The importance there is bringing that focus on the social work element of mental health and the appropriate application of the Care Act. This role offers a chance to become part of a more integrated system that enables people to access the full range of services they need. That head of service will be critical in creating a genuinely integrated mental health service for service users. East Sussex Better Together covers eastern and central East Sussex. What’s happening in the west of the county, places like Lewes and the towns bordering Brighton? East Sussex Better Together is a year or two further down the road but we have a similar programme in the west called Connecting 4 You. The west is more complex because the NHS agencies are less co-terminus but we are working through the options, a process which the two new heads of service will also be very much involved with. So why is East Sussex a great place to develop or start a head of service career? East Sussex is a place where people come to progress their careers and love living and working here so much that they stay. Until these two posts came up, one due to retirement, we had no turnover in our nine heads of service for four years. Yet, as you can see from what we’re doing with the NHS, we are still a forward-thinking authority. We have a good reputation for quality services and, speaking as someone who has had a couple of head of service roles in my career, the benefit of working here is the peer support. While it’s exciting, being a head of service is also challenging so knowing that you’ve got that peer and organisational support is really important. The individuals who will get these head of service jobs will also get a real opportunity to shape something that hasn’t been done on this scale in this country before. It’s a chance to come in right at the start and make your mark.